TED talks have shifted the dial in the way that we communicate. They’ve inspired a new generation of short, high impact conference talks. So, what can business people learn from TED talks? Ginger takes inspiration from the finest TED talks and unpacks their power in this series of experiential and lively training courses. We’ll help you to develop your ‘idea worth spreading’, write a great short talk and deliver it with passion and personality. You’ll learn both how to write a TED-style talk and learn speaking skills that can be transferred to all spoken word scenarios. Conference talks and other TED-style presentations are incredible opportunities to showcase thought leadership and professional expertise. Yet, few of us invest the time or headspace required to make our conference talks truly resonate. Ginger’s TED-style speaking training helps to develop truly compelling short talks that influence and inspire. Our TED-inspired training offering includes a one-day taster, a three-four day complete process, e-learning and 1-2-1 coaching for TED-style talks. We guide participants through a process of designing, honing and delivering a talk that will build their visibility and profile. As we’re working on one specific talk, we’re also developing skills that can be transferred to all manner of communication scenarios, from pitches to team pep talks. 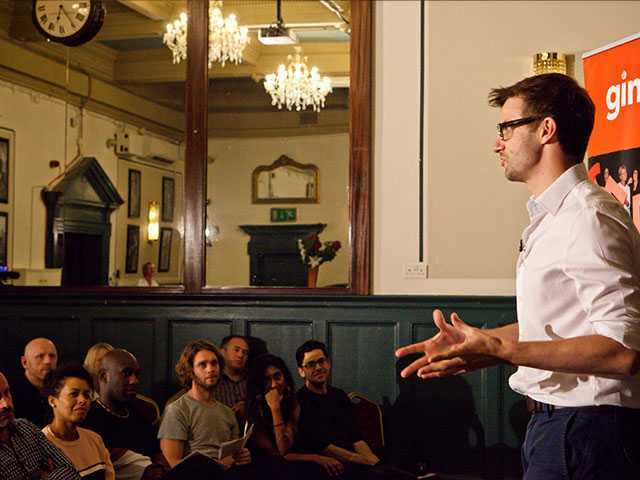 Our one-day Introduction to TED-style speaking course is a taster of the theory and practice of writing a TED-worthy short talk. 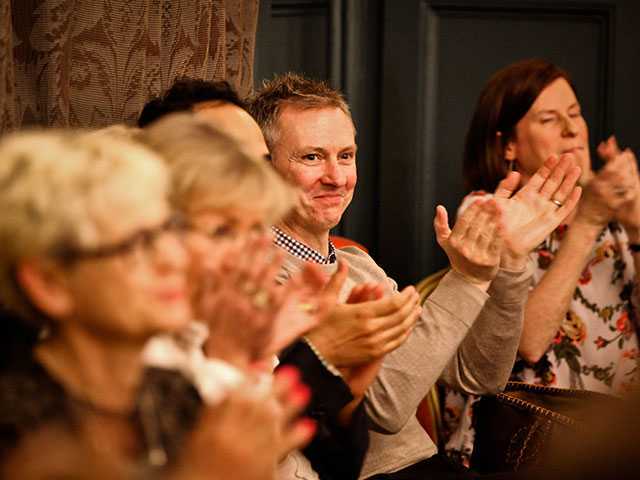 If you’d like to develop a full talk, our three-four day TED-style Speaking for Business Success course does just that, teaching the theory of world-class speaking on the way. Our World Class Speaker Series e-learning platform unpicks the theory behind the best TED talks and helps you to design your own talk at your pace. For conference organisers who would like talks to be delivered in the TED style, our Speaker Group 1-2-1 package actively supports speakers to develop, hone and practise their conference talks. And we also have various 1-2-1 conference speaker options for individuals wanting to develop a TED-style talk. Lauren, a charity spokesperson was a seasoned speaker when she participated in Ginger’s TED-style speaker training. Despite her experience levels, speaking still filled her with nerves and she suffered from Impostor Syndrome; who would want to hear anything she had to say? As such, she tended to fill her talks with lots of complex data and dry information to ‘prove' her legitimacy. Often, she worried she was confusing, or boring her audience. What she wanted was the courage to become an inspirational spokesperson for her industry and the important and innovative work of her charity. She felt that speaking could be easier and more effective and hoped Ginger’s methods could help. 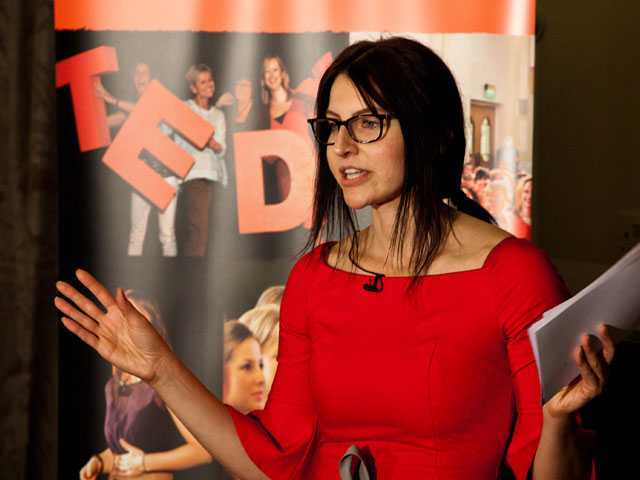 Over the course of our full-length TED-style speaking programme, Lauren developed her thought leadership into a compelling and unusual ‘idea worth spreading’. And best of all, since doing Ginger’s TED-style speaking training, she’s been invited to deliver an actual TEDx talk. ‘Something that would never have happened without Ginger’s support and encouragement’, she says. Yang-May first worked with Ginger a year and a half before this speech to develop her confidence and stage presence. We then developed her delivery and content for this TED talk. We particularly worked on the themes running through the talk, ensuring clarity and impact. During our work together Yang-May improved vastly in her confidence, and particularly in her capacity to connect emotionally with her audience. This speech was selected to be the closing speech at a TEDx conference and was received as a highlight of the day.